Argus Cyber Security has entered into a partnership with STMicroelectronics to integrate its cybersecurity solution directly onto ST’s chips for vehicle telematics and infotainment systems. Argus Cyber Security, listed as one of our top automotive startups to watch in 2018, has entered into a partnership with semiconductor company STMicroelectronics to bring enhanced cyber security to automotive infotainment and telematics systems. 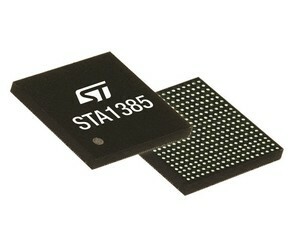 Under the new partnership, STMicroelectronics’ Telemaco3P family of processors for automotive telematic and connectivity will come with Argus’ Connectivity Protection software suite integrated directly into the SoC. Doing this allows the Telemaco3P to detect and block cyberattacks on vehicles in real-time and prevent malicious software, like viruses, from propagating through the in-vehicle network. Argus’ cybersecurity solution will also allow automakers to track the security of connected fleet vehicles and will use big data analytics to identify emerging threats and provide secure, cloud-based updates to the vehicle software. Charles Averty-Taraud, program manager of STMicroelectronics’ Micro and Infotainment Division, told Design News that the Telemaco3P features an embedded Hardware Security Module (HSM) that makes it ideal for integration with Argus’ cybersecurity suite. “The embedded Hardware Security Module supports both symmetrical and asymmetrical cryptography that can ensure that connections to cloud and other devices are authenticated and secure,” he said. While the Telemaco3P is based on a dual ARM Cortex-A7 processor, the HSM is an isolated sub-system within the Telemaco3P that is based on an ARM Cortex-M3 processor. Infotainment centers are a prime target for hackers seeking to gain access to a connected vehicle’s systems. Once the infotainment system is hacked, depending on the make and model of the vehicle, it can grant remote access to a vehicle’s radio, windshield wipers, A/C, turn signals, and even acceleration and braking systems. Various groups have taken different approaches to vehicle security. Experts like Jay Thomas, director of field engineering for LDRA, a software verification systems provider, have advocated for a distributed, edge-based network of systems within vehicles to separately detect threats in different areas. Other entities, like Argus, have looked at cloud-based solutions to vehicle security – providing real-time remote monitoring and secure remote updates. This latest partnership between STMicroelectronics and Argus represents what could be a trend toward moving vehicle security onto the edge. In the absence of ubiquitous 5G connectivity, it will be near impossible to secure massive numbers of connected vehicles purely via the cloud. STMicroelectronics and Argus declined to give details on any specific automakers that have signed on to integrate their new solution into future vehicles, but Averty-Taraud said STMicroelectronics is working to bring secure telematics and connectivity to all of its customer projects. There is no word yet on if Argus plans to expand its cyber security solution into other brands’ processors as well. Last year Argus entered a similar partnership with Qualcomm to integrate the Argus Connectivity Protection Suite onto the Snapdragon 820A processor, which is also used for telematics and infotainment applications in vehicles.